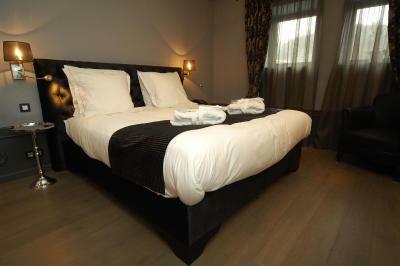 Lock in a great price for Hotel Saint-Amour – rated 8.6 by recent guests! the hotel is greatly situated and the room (jealousy) was very big on the top floor, they have a parking space in a garage, although it is a couple of minutes walk we where very happy with it. Breakfast is good. Tout était parfait , de l accueil exceptionnel à la perfection de la chambre . Gentillesse et disponibilité parfaite du personnel . Je recommande sans hésitation . Repas succulent également . personnel très sympatique. Bon petit déjeuner et très intime. très bien accueilli , personnels super sympa , on a bien manger et la chambre est super jolie . Un parking privatif pour nos motos . chambre au calme . Parfait pour notre petit week end en amoureux . Je recommande . Et encore merci pour votre accueille . Uitstekend, vriendelijk tweetalig ontvangst. Zeer mooie klasse zaak. Prachtige grote nette kamers. Ideale centrale ligging. Lekker eten in het restaurant. Zeer uitgebreid ontbijt. Zeer goed ontbijt. Zeer vriendelijk personeel. Centrale ligging. Chambre au top, le calme dans l hôtel malgré qu'il soit situé dans le centre,le personnel très sympa. 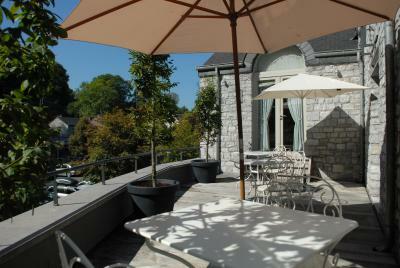 Fall in love with charming Durbuy with this hotel’s gourmet restaurant, outside terrace and elegant guest rooms. The spacious rooms of Le Saint-Amour offer modern accommodations with private facilities and a convenient Wi-Fi connection. Right in the center of Durbuy, with its historic monuments and beautiful natural surroundings, this is an excellent base for your relaxing break. Taste delightful cuisine in the stylish restaurant and unwind out on the terrace. The bar provides a pleasant atmosphere for having a drink and a chat. With a very warm welcome and round-the-clock service, the entire team will make sure you have a great stay. 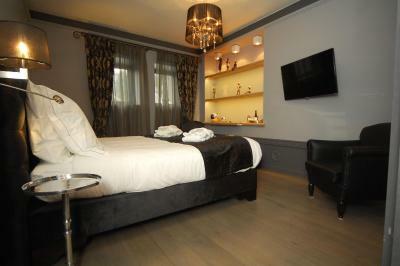 When would you like to stay at Hotel Saint-Amour? This room features a minibar. This room includes a Nespresso coffee machine and a terrace. Please note that this room is 1000 ft from the main hotel and breakfast is served at Saint-Amour each morning. This room includes a Nespresso machine, a canopy bed and a terrace with garden view. Please note that the maximum occupancy is 4 guests (see Hotel Policies). Please note that this room is 984 feet from the main hotel. House Rules Hotel Saint-Amour takes special requests – add in the next step! ATM card Hotel Saint-Amour accepts these cards and reserves the right to temporarily hold an amount prior to arrival. Hotel Saint-Amour accepts these cards and reserves the right to temporarily hold an amount prior to arrival. Parking space is limited, please confirm the availability directly with the hotel. Please note that for all reservations with an extra bed request, guests are asked to contact the property. Not all personnel was that friendly and welcoming, we made a reservation for the restaurant but canceled that when half an hour later there still was no space outside. The room was on the top floor and didn't have airco, it was very hot and stayed hot very late.